Well you got your forum, now show me your cruisers. Last edited by Scotty Bot; 05-02-13 at 12:18 PM. Proflex 857 I know its supposed to be an ATB, lol but its not... Its for cruizin'. 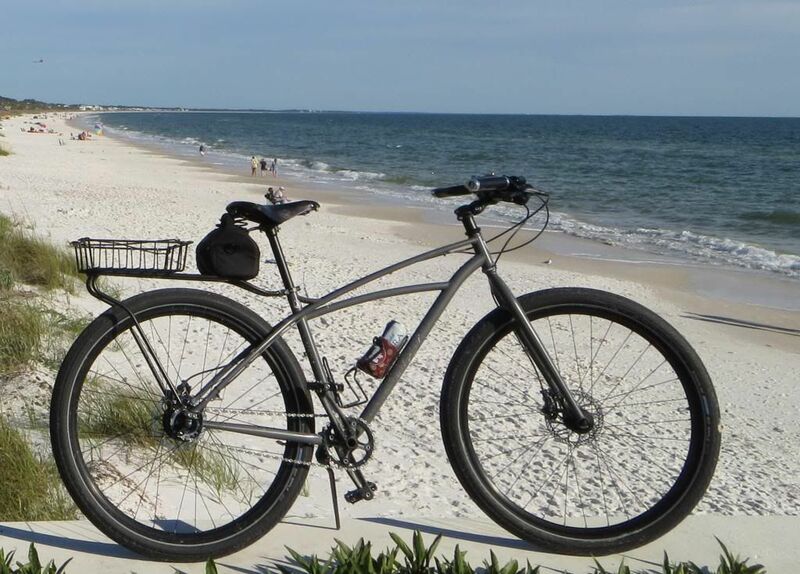 Sun Bikes added a more fat tire [4"] cruiser with a step through frame, to the 2 spd Spider fat bike line..
LBS here has them.. folks ride on the beach here, easier to sneak up on them clams at low tide.. The wife's Jamis Earth Cruiser at Buzzards Bay on the Cape Cod Canal. No matter how hard I try, she will not abandon the coaster brake 1 gear cycle she loves. Yes, she has a stuffed dog for the basket. My pride & joy Trek Sawyer! 2010 Felt New Belgium Brewery fat tire cruiser. Friday commuter, sees a fair amount of trips to oldtown for fairs and shows. schwinn windwood, custom 12pack box on the back. Nothing special but it got me back into bikes and especially cruisers. GF is using it now until she finds a bike for her. I need to get the bottle generator back on and the lights. 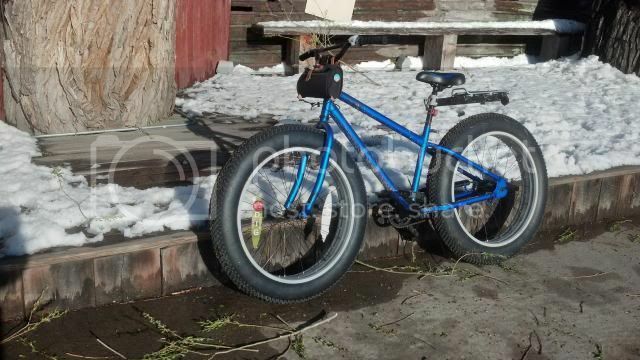 The new shop bike, Mongoose beast, used for hardware store runs and the pub is only .8 miles from the shop. I think a beach cruiser is the best bang for the buck when it comes to enjoying a bike when you live in a flat city. there are thousands of bf-ers out there, and only 5 have cruisers/beach bikes? come onnnnn, pony up folks. 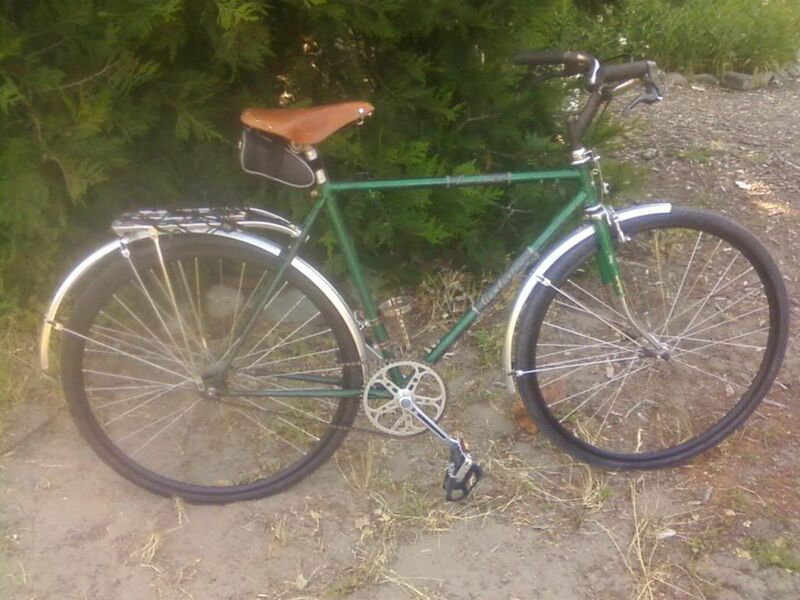 Picking up a Fuji Sanibel soon. I'll post the picture of the one I just sold. 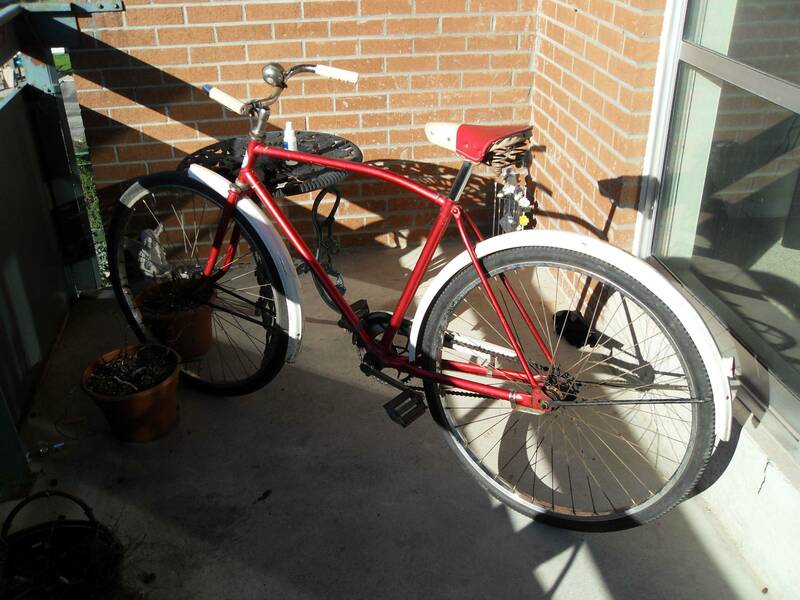 1964 Varsity converted to 26" coaster braked rims. 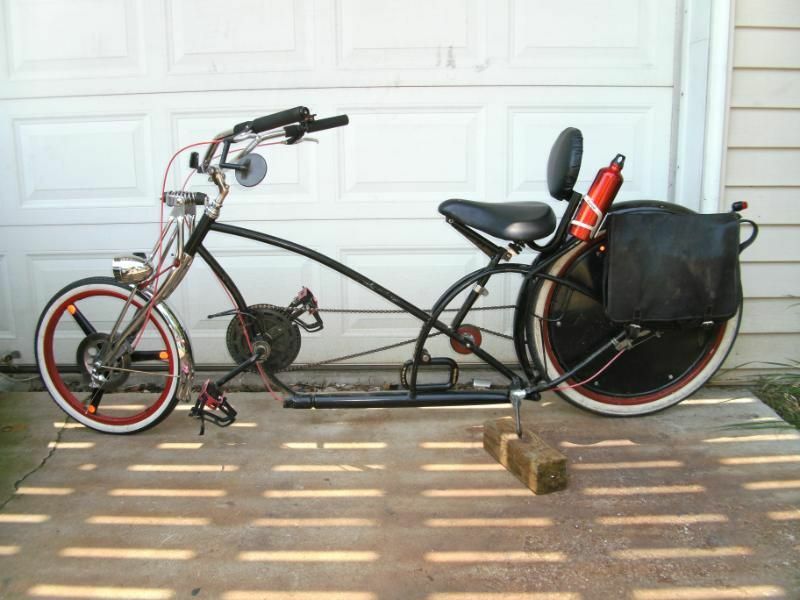 Great riding bike, better than a stock Varsity. Note the surfboard rack & bamboo cup holder. Cruiser have cup holders. 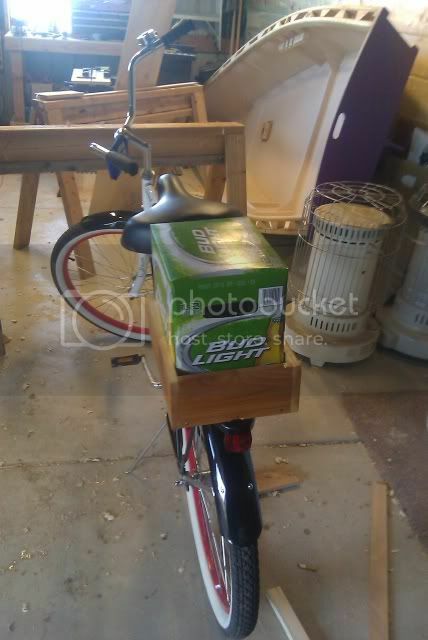 Boring bikes have bottle holders. Patience, as it takes a while for a new forum to come to the collective consciousness...besides, how many people actually pay attention to Tom's announcements anyway?? 1. I would need a chain tensioner to convert to IGH and that just ruins the aesthetic for me. "My biggest fear is that when I die my wife will sell my bicycles for what I told her they cost." My Schwinn Legacy. 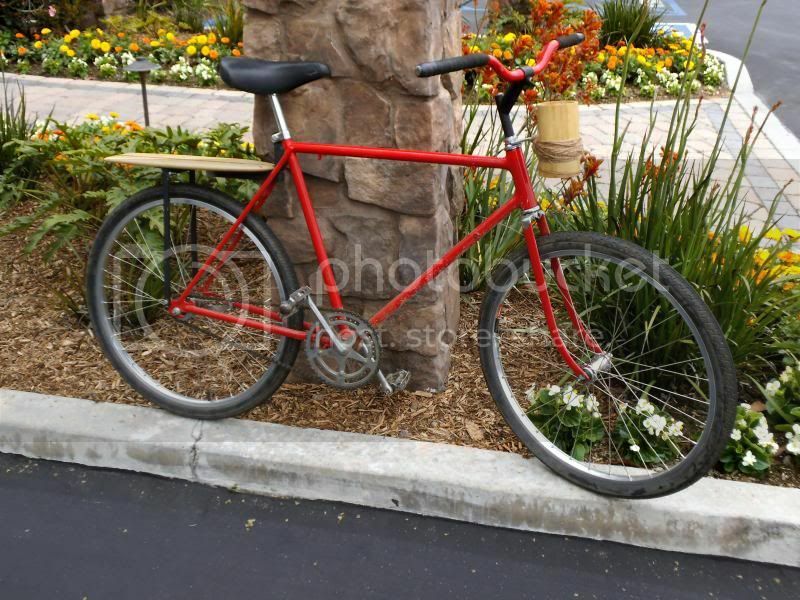 Since I'm just getting into cycling after not having been on a bike in years, I figured a simple, inexpensive cruiser would be a great beginner bike. 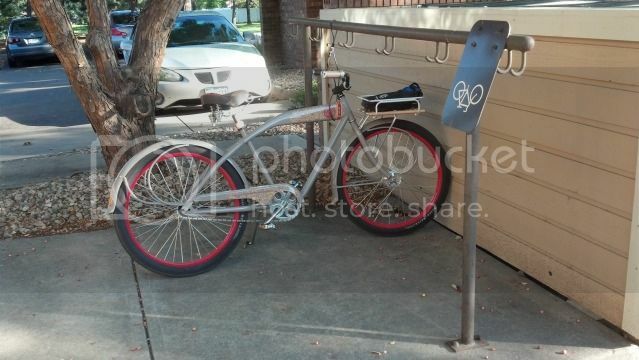 Plus, I'm in love with the vintage look and the...coaster brakes! 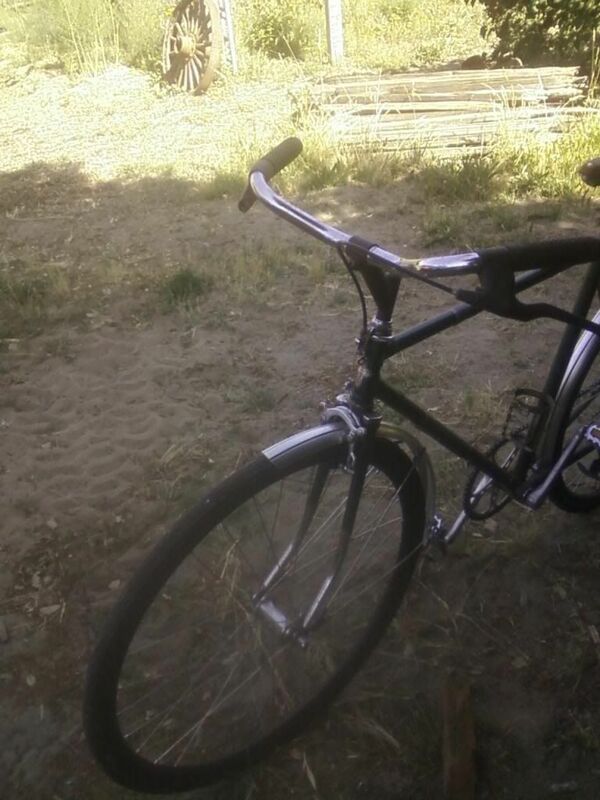 I love my coaster brakes! I guess I'll reserve this spot in case a cruiser falls in my lap. waaaaaaa! you made me squeal with the surfboard rack 'n' mai tai holder (where's the little umbrella?)! First new bike I've ever bought, tried to get Lance to sign it when he was across the way at the start of a cross country cancer ride 7 years ago (glad he didn't/couldn't actually...). I've been threatening to dress like James Dean and hop on it for either Midnight Madness or the Tour de Fat, cigarette and all but that hasn't materialized (like the real 550 Spyder lol). I also had plans for an Alfine or similar 7/8 spd internal gear hub and front disc brakes, neither of which happened either (or god, can you say Rohloff?!?!). It has been to the beach on several occasions as well as dirt trails. Although a few other diamond frame bikes have made it to this thread, this is probably the most upright cruiser this thread will see. That thing looks freaking sweet man.